Whether you're a long, hot shower taker or in and out before you can say "shower time" we believe we have at least one fresh idea to help spruce up your shower routine. Posted By Alan, 22nd Mar 2019. 10 Minute Read. With so many different types of showers and so many different types of shower-takers it’s never easy to work out the one best shower idea for everybody. Luckily, there are so many brilliant shower ideas which add practicality, comfort and style to your shower; it doesn’t matter whether you have a walk in shower or an all singing, all dancing shower cabin there’s something for you. In fact, the experts here at Victorian Plumbing have put on their thinking ‘shower’ caps and drenched us with 14 fresh shower ideas to revitalise your routine! If you love new technology then you’ll welcome a digital shower with open arms. Switch on your shower from the bedroom with a wireless remote and only get in the shower once the water temperature is at your desired levels. For the latest shower ideas make sure a digital shower is on your wishlist. 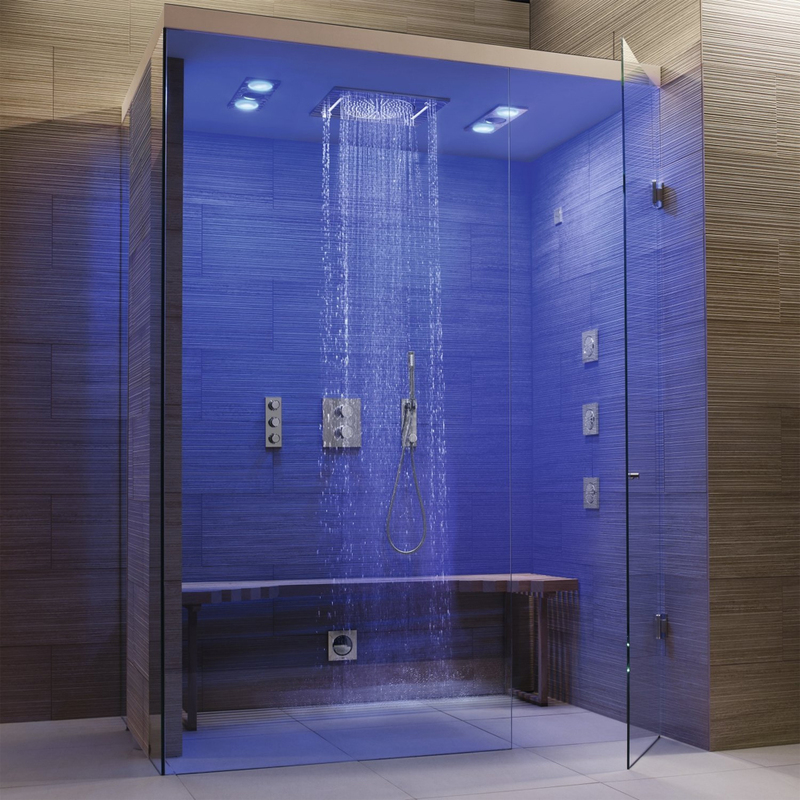 Digital showers can be easily installed in almost any setting which makes them increasingly popular with homeowners looking to quickly freshen-up their bathrooms. They’re also economic too, with eco-modes that can save energy and water. They also made our Top 10 list of 2018 bathroom trends! This Triton Digital Mixer Shower comes with quiet brushless technology for almost silent showering; a great idea for those who don’t want to wake the family when they take very early or very late showers! If you could a have a spa in your own home then would you say yes? Yup, we would too and that’s basically what you get with a shower cabin! It’s a totally luxurious shower experience that will leave you feeling fresh and relaxed every time you use it. 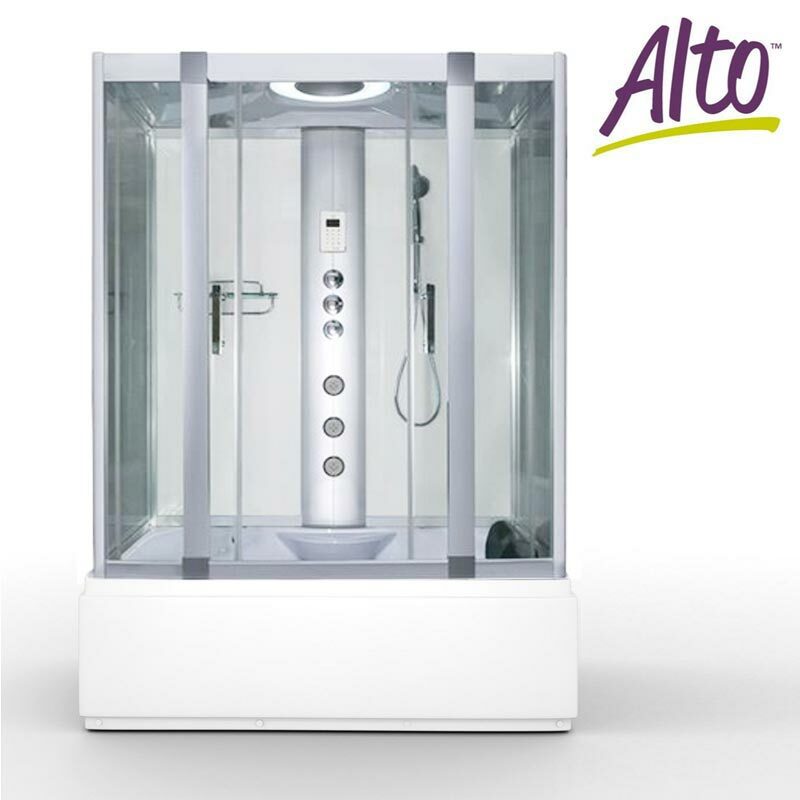 They’re essentially a shower enclosure but with much more functionality; steam function, body jets and more! Some shower cabins even have musical functionality to allow you to listen to your favorite MP3s or radio station. This AquaLusso Alto W1 - Steam and Whirlpool Bath shower cabin has a whirlpool bath feature for a relaxing soak when you have a little bit of extra time on your hands. One of the most overlooked areas of showers, shower heads can make all the difference between a good shower and a great shower. There are so many shower heads available that it can sometimes be overwhelming choosing one, but if you know what you desire from your shower then you’re sure to find the perfect one for yours. A rainfall shower head is one of the most popular shower ideas because it offers a dream shower experience. Treat yourself to a ceiling shower head with a rainfall design for the most refreshingly indulgent experience. This GROHE Rainshower F-Series Ceiling shower head features 3 spray patterns one of which is the XL waterfall feature; providing the dream showering experience from its 15” head. Nothing beats a walk in shower for ease of access. It’s a simple, yet effective shower idea consisting of a shower screen, shower tray and shower. There are cheaper shower ideas, but if you have the budget then it’s a look that you should definitely consider. As the name of a walk in shower suggests - you simply walk in, have a shower and then walk out. It makes showering a doddle, but cleaning is also easy and when kept looking clean shower screens look amazing. They also give the room a bigger, more open feel as well which is great if you’re in need of shower ideas for small bathrooms. This Hudson Reed 1950mm Wet Room Screen creates a truly beautiful feature in the bathroom and it doesn’t cost the earth either. If you have a bath in your bathroom and never use it because you prefer a shower then you may find replacing it with a shower enclosure to be a good idea. 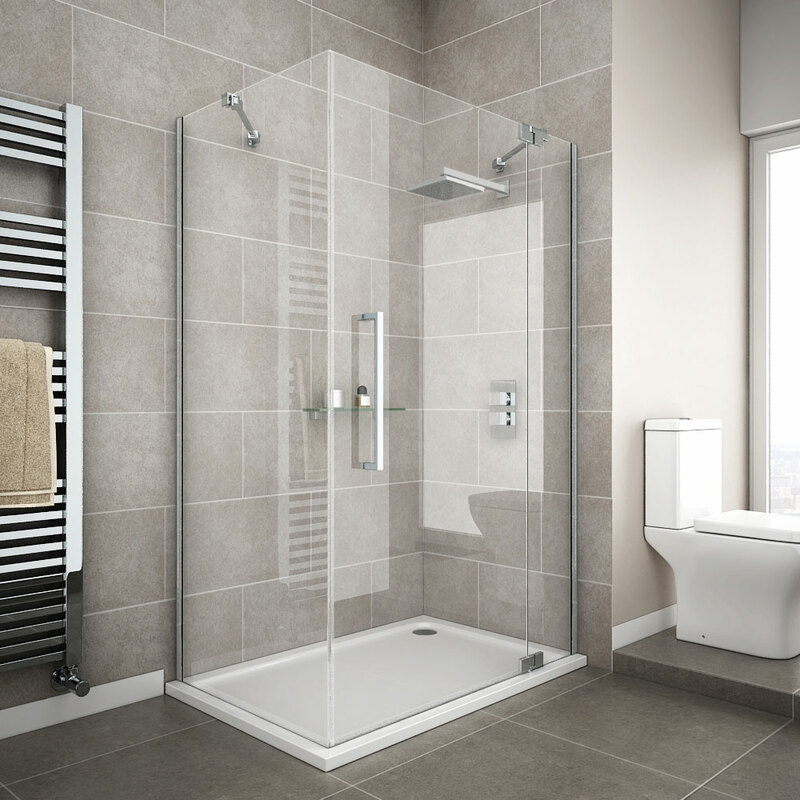 It will help save space, especially if you have a small bathroom, but if you have a large bathroom then you’ll be able to have both bath and shower enclosure to use as and when you feel. Shower enclosures come in a varied range of shapes and sizes making them ideal for a range of room sizes and layouts. Quadrant shower enclosures make great use of corner space where an offset quadrant enclosure will do the same, but is slightly longer; creating a more spacious shower experience which will take up a little extra room. Other shapes include square shower enclosures, with rectangular shower enclosures being their larger and more spacious counterpart. 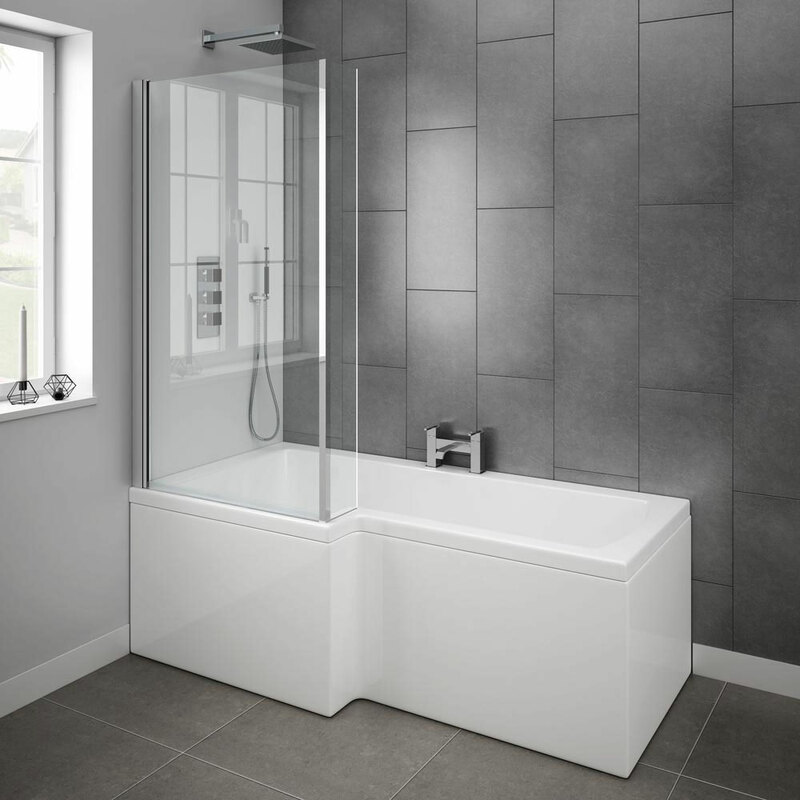 This Apollo Frameless Rectangular shower enclosure is a stylish option with a minimalist look; ideal for any modern bathroom setting. And, they’re easy to access and easy to clean which makes them perfect for modern families. Quite possibly the most common type of shower idea, the electric shower is affordable, practical and adds luxury and comfort to any bathroom. If you hate the thought of trying to mix hot and cold taps for the perfect water temperature an electric shower will make life so much easier whilst speeding up your daily routine. Some of the most popular brands include Mira electric showers and GROHE electric showers; both renowned for incredible performance, although Bristan’s range of electric showers and electric showers from Triton are in huge demand for their fresh look. 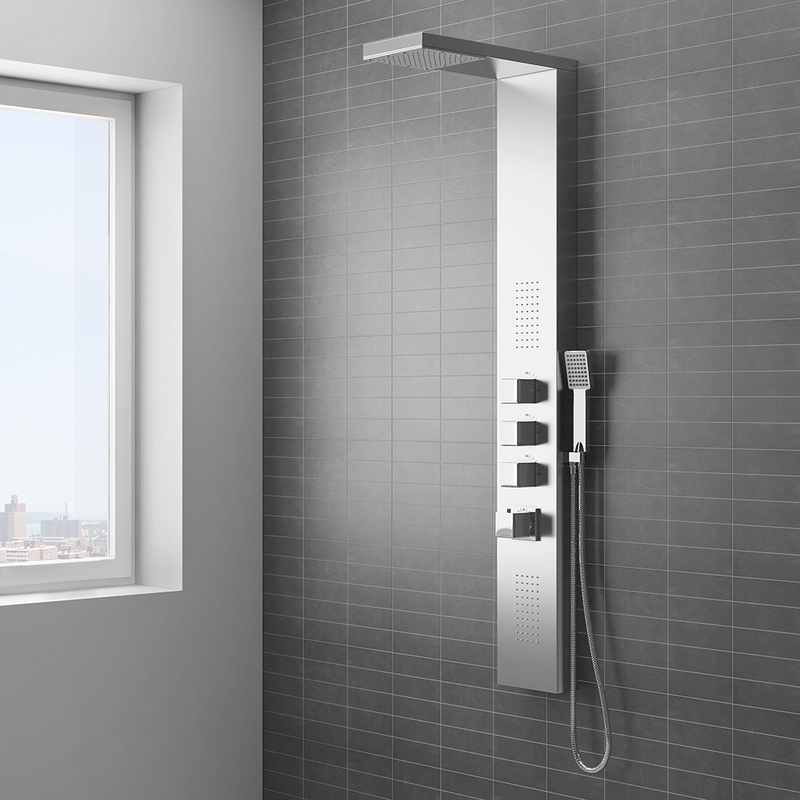 For a totally revolutionary electric shower idea why not turn to the Aquas electric shower range - This Aquas AquaMax Flex features X-Jet technology for an even more amazing shower experience. Not sure which kW electric shower you need? 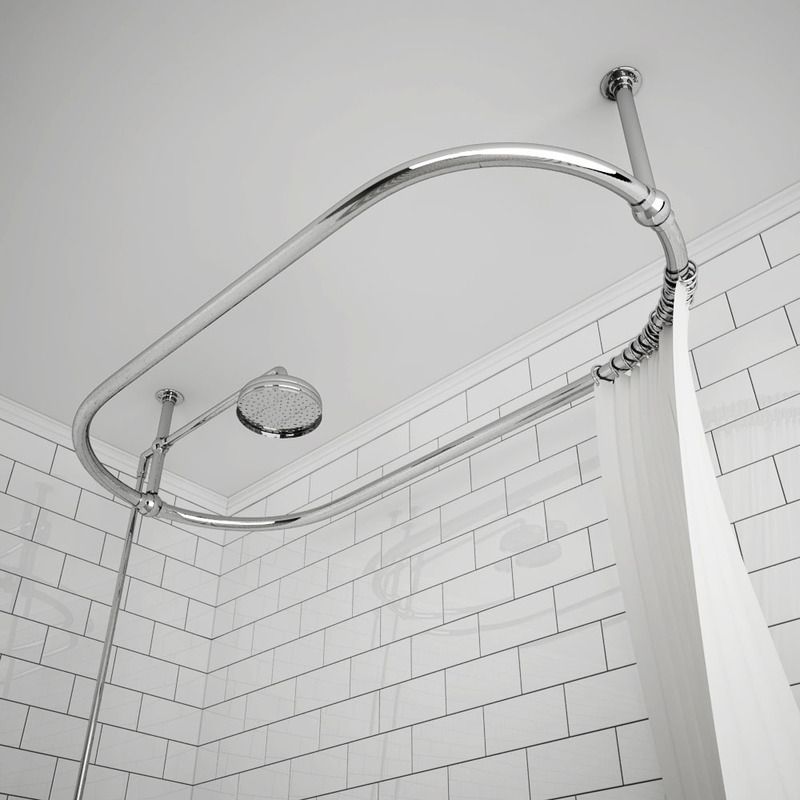 Take a look at our Watt Electric Shower guide to understand the difference between them. Many of us have low pressure in our bathrooms which goes undetected for far too long. One tell tale sign is that your shower is more trickle than torrential. If your shower isn’t as powerful as you’d expect then you may have low pressure, in which case you’ll need a shower pump. Shower pumps improve the water pressure incredibly and they’re simple to install. They also allow you to choose bigger and better showers which require larger pressures. 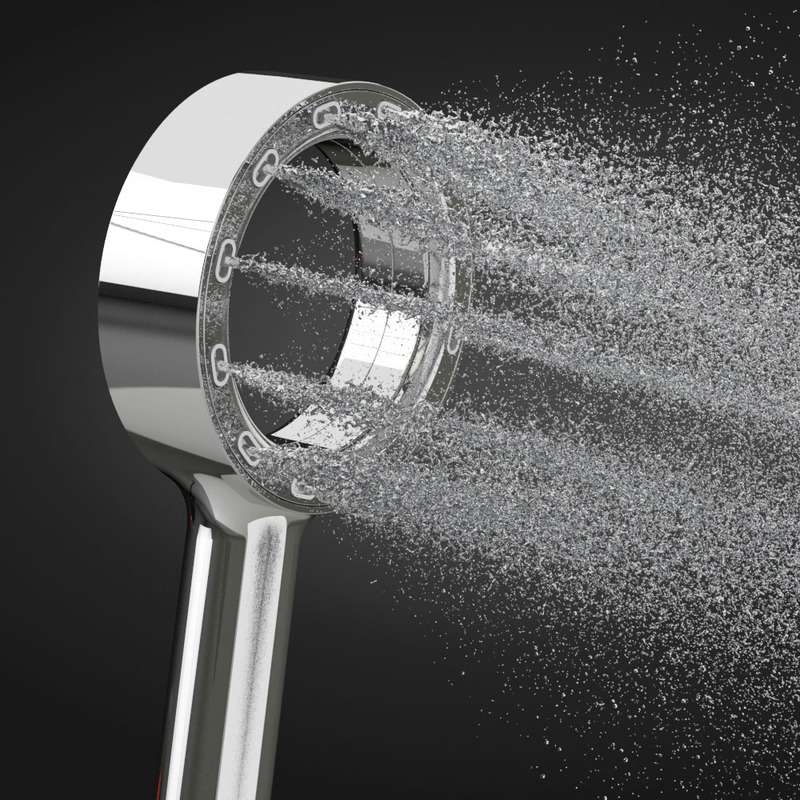 Many homeowners who don’t have problems with water pressure still can’t choose the shower of their dreams because the pressure just isn’t enough, this is where shower pumps are a force to be reckoned with. 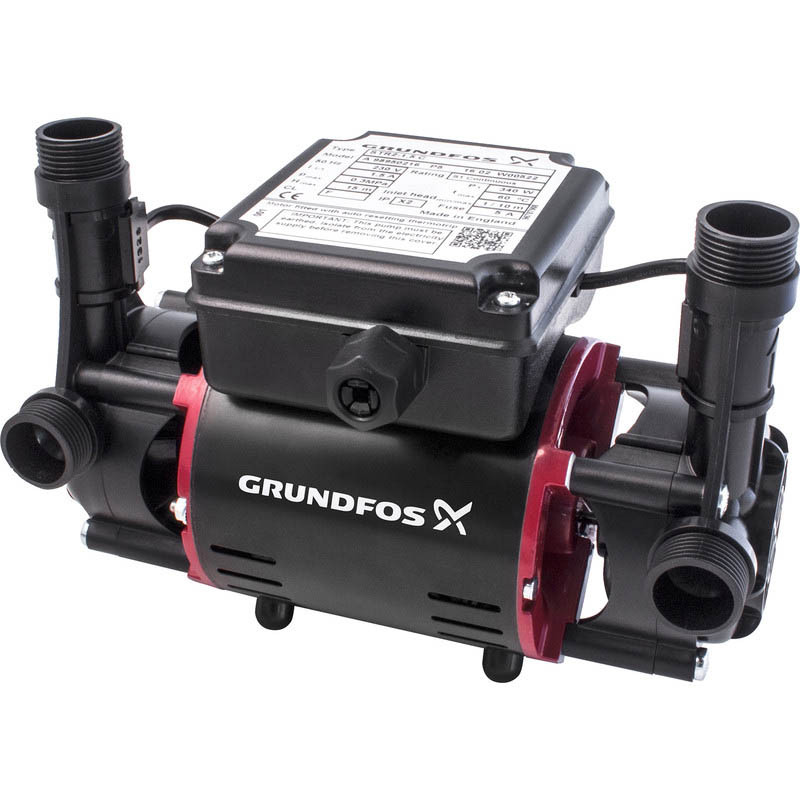 This Grundfos STR2-2.0 C Twin Impeller Regenerative Shower Booster Pump is capable of quietly improving your shower feed and an additional feed such as bath taps. Take a look at our shower pumps guide to get an idea about which one you’ll need for your shower and setup! Shower tower panels, also known as a shower tower, are a simple shower idea for those looking for an affordable spa-like experience. They typically feature shower body massage jets which have a range of indulgent settings whilst the panels are finished in a stylish range of colours and finishes. They’re also easy to install, which is one of the reasons why they’re so popular, plus many come with easy clean features and properties such as anti-scale rubber nozzles. It’s also safety first with shower tower panels and many come with excellent safety features such as anti-scald which is perfect for keeping the family safe. This Milan Modern Stainless Steel Tower Shower Panel has a stylish chrome finish and features 2 body jets for a relaxing massage effect. Showers are amazing, but sometimes you have to compromise with your fellow bath lovers. In the event of bath lovers and shower lovers not being able to decide on one or the other then a shower bath is the perfect peacemaker. A shower bath gives bath lovers a wonderful place to relax and refresh, yet allows shower lovers to comfortably stand and move around when they take a shower. Look out for shower baths which come with bath shower screens included. This will help reduce cost and save you time when ordering. Choose from L-shaped shower baths and B-shaped, also known as P-shaped, shower baths in a range of styles. This L-shaped shower bath comes with a screen and panel included and would look gorgeous in any modern bathroom. Unless you take a shower in your bath or shower bath then it’s very likely that you’ll normally be showering whilst stood on a shower tray. They’re usually required in enclosures, cabins and even wet rooms; there’s even freestanding shower trays which are typically found in traditional bathrooms and shower rooms. Shower trays can be a great idea if you want to add a stylish look to your bathroom, especially slate effect shower trays which usually come in a grey (slate) colour and used to complement many bathroom styles where a white tray might just not look right. There’s also lots of other colours to choose from including red shower trays, black shower trays and many more coloured shower trays. 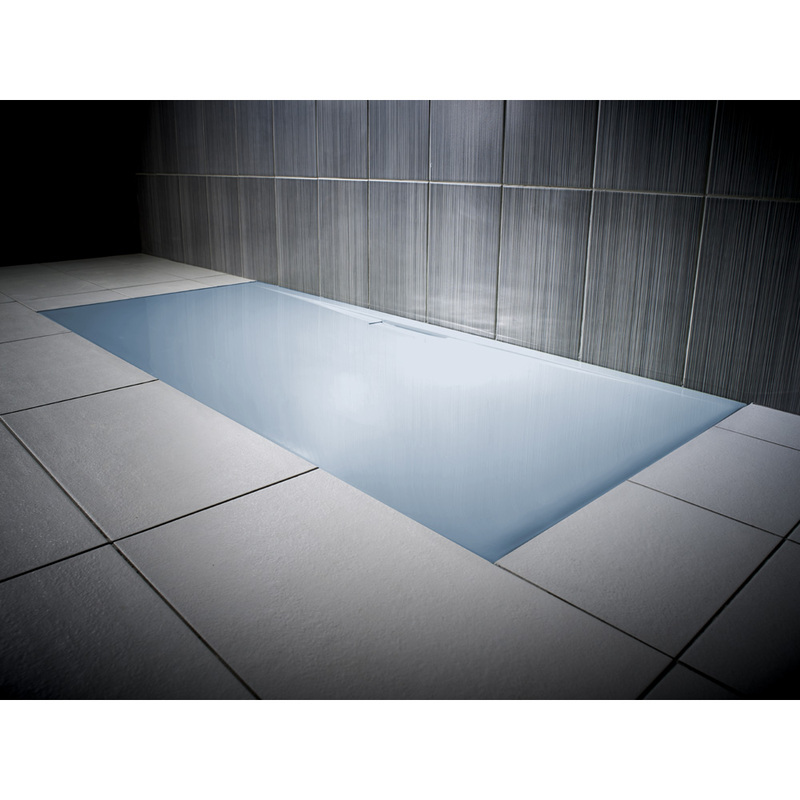 This stunning blue shower tray has a slimline design and is in-fact the shallowest tray available. It’s ideal for walk in showers and wet rooms where a neat finish is appreciated. 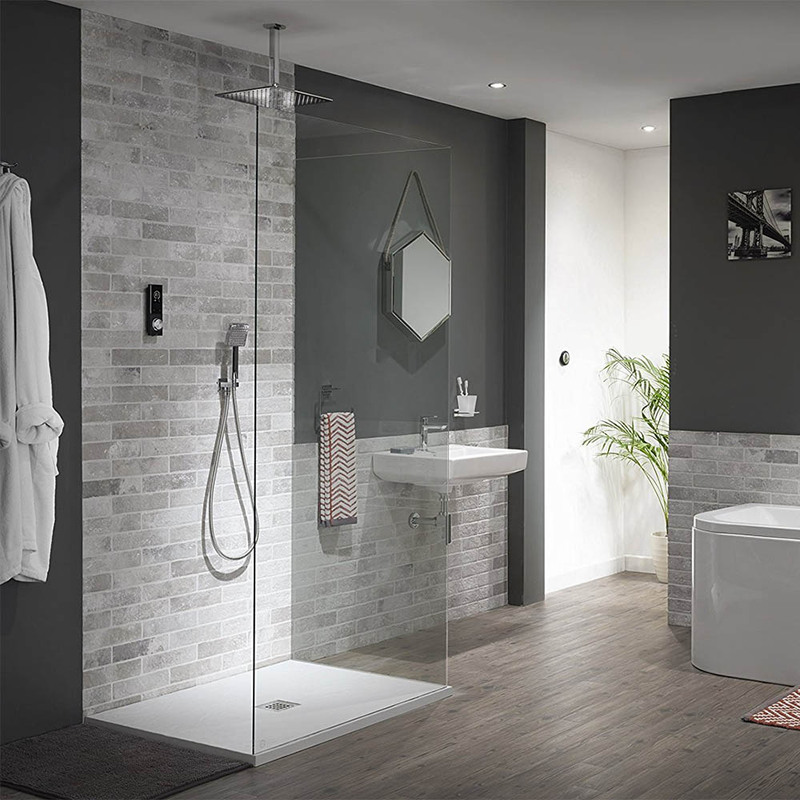 For more inspiration with wet rooms why not take a quick look at our recent article 6 awesome wet room ideas. If you thought shower curtains were a thing of the past then think again. With some people opting for bath screens over shower curtains, depending on who’s home you visit, you may have thought the shower curtain was no more, but the truth is it never left! Actually, modern shower curtain designs range from funky to fancy and are an inexpensive shower idea which many homeowners are opting for. They’re easy to install, keep clean and can be changed regularly at a low-cost which makes them very attractive to those who like to switch styles frequently. 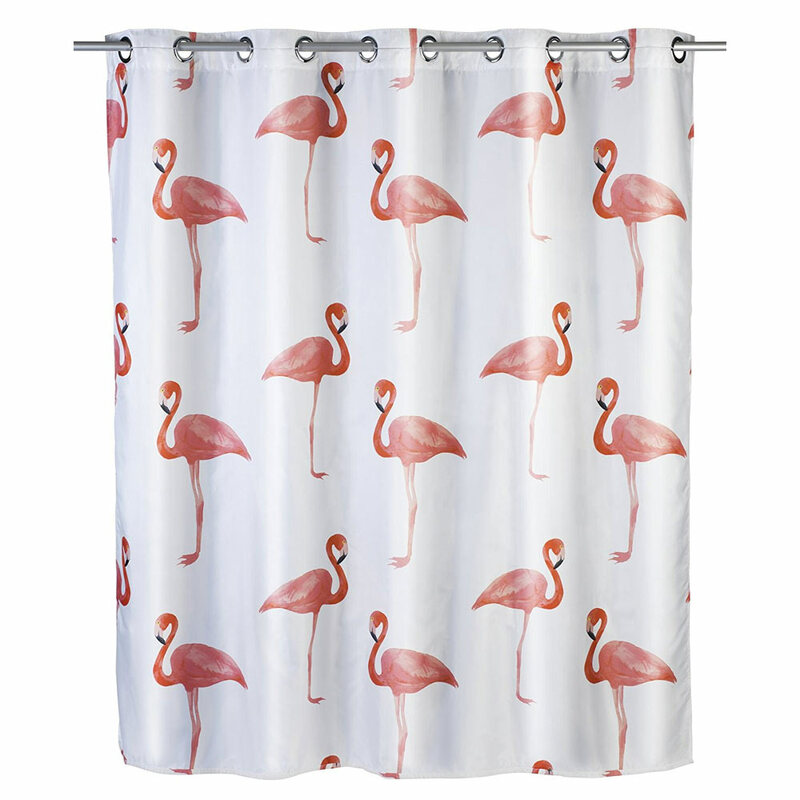 This stylish Flamingo pattern shower curtain design is perfect for those who want something fun, yet totally on trend! Not a big fan of birds that sleep whilst stood on one leg? No problem, shower curtains come in 100’s of designs so there’s bound to be something you’ll love! Shower curtain rails and curtains were once the only thing available until bath screens arrived on the scene, but as styles and trends change shower rails have really come back to the forefront. There’s certainly no shortage of style either, from shaped shower rails, such as oval, round and u-shaped, to straight shower curtain rails there is literally a shape, style and finish ideal for any bathroom be it modern or traditional. This traditional oval shower curtain rail is an elegant traditional shower idea which is sure to create an authentic shower experience every time it’s used. It also features a stunning shower rose which is built in and finished in chrome for maximum effect. It doesn’t matter if you’re a soap only kind of shower person or you have 101 items from your favourite back scrubber to a snorkel, one thing is for sure you’re going to need somewhere to store all of your bits. A shower caddy, also known as a shower basket, is a fab and affordable shower idea to help keep all your showertime essentials within reach and kept tidy. Hanging shower gels and other bits in your shower caddy also allows them to dry and prevents water getting trapped around items that may otherwise be left in a small puddle or drip on your toes when you next pick them up - Ugh!. 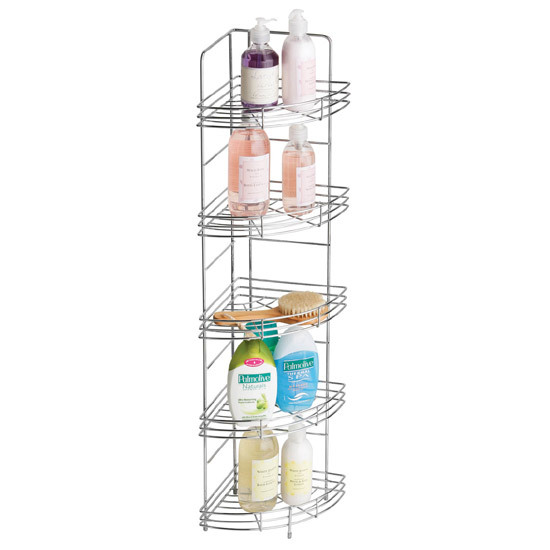 This 5 tier chrome wire corner storage rack will hold even the most professional showerer’s essentials. It’s simple to install as it is freestanding; other wall mounted shower baskets have suction pads which stick the storage to the wall and others may require drilling. It’s an old cliche, but singing in the shower is pretty much done by everybody at some point in time; it’s just that some of enjoy it way more than others. Shower speakers are affordable and easy to install so anybody can enjoy them. 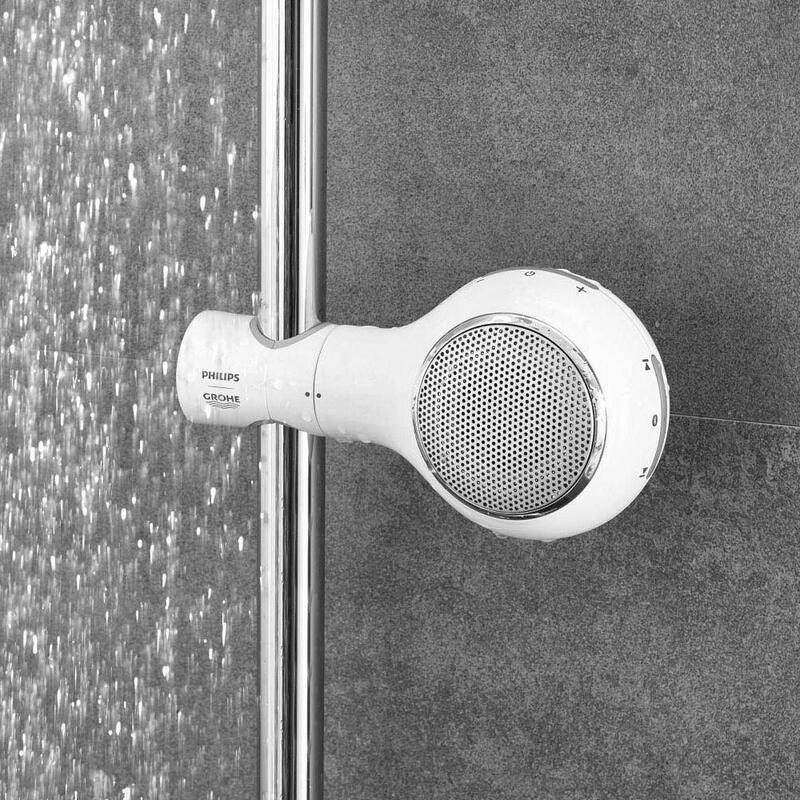 If you love to sing along or listen to the radio or mp3s whilst you splash around in the shower then shower speakers should sound like a fab idea! These Aquatunes shower speakers by manufacturers Philips and GROHE make showering fun. Simply setup your favourite playlist on your phone and with Bluetooth technology you can listen to it in the shower! We really hope you’ve found some fresh shower ideas for your bathroom. We’ve aimed to cover budget ideas as well as dream ideas and everything in between, but if you think we’ve missed something please let us know. If you think that somebody else you know will find these ideas helpful then please feel free to share them too.